A couple of truly unsettling weather events (a small one here in NDG, Montreal and a truly horrific one in Houston, Texas) and the resultant talks with friends and family have convinced me that what is needed now is not just the well-meant but too general list of how to mitigate climate change on a personal level (https://www.nrdc.org/stories/how-you-can-stop-global-warming), but a more specific itemizing of how our lives are going to be and already are being radically altered by global climate change; and what we can do in our daily life to respond bravely and calmly to this new world. I have known about global warming since the 1970’s, but I feel as if I was sleepwalking, assuming that it would be a problem for my grandchildren (long before I could even imagine having children, much less grandchildren!). Then, recently, I happened to read a series of books and articles by Naomi Klein, Bill McKibben, Wendell Berry, and Elizabeth Kolbert, and I began to pay much closer attention to the subject on the news and in my own surroundings. I have become convinced that the tremendous upheaval in our environment is going to be a sooner rather than a later crisis. 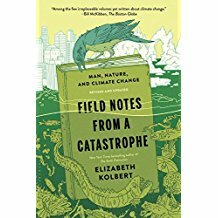 From what I have read, global climate change is being accelerated by feed-back loops (https://www.theguardian.com/environment/2011/jan/05/climate-change-feedback-loops); and we are not emotionally nor realistically prepared for the suddenness of this climate shift! Now I am neither a scientist nor an activist. But I do trust in people’s ability to help themselves if they are given accurate and honest information. Unfortunately, as of this writing (September 2017), North American governments, except for a few states and municipalities, seem unable or disinclined to put the necessary solutions in place. In a vain attempt to hold back the inevitable, they are actively disseminating misinformation that has, for their populations, created a miserable emotional climate of anxiety and distress. However, I believe that the future challenges will be met and survived by people working together, in smaller local groups, sometimes with governmental help, but always with a clear idea of what choices need to be made, what things need to be done, as we saw with the volunteer civilian rescuers in Houston during Hurricane Harvey, who got their boats and went right out to save people! These new choices will create a world that will appear quite different than the one I have known my whole life; it will be a smaller, slower, simpler, but much happier world. These better choices will put in place the changes in our day to day lives that will allow us to weather the coming storms and build a more human scaled economy to assure our survival! So my very modest contribution to this project is this blog, which is a compendium of better choices as well as information about what to do in the face of extreme global climate change: floods, droughts, fires, refugees (internal & external), power outages, food supply disruptions, gasoline shortages, etc. 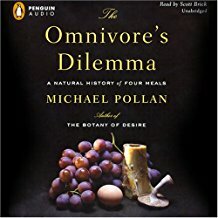 ; links and books which explain the ramifications of this major shift in our environment; and an imaginative section (the Cassandra report) that suggests long term changes in what we will have (and what we won’t) to eat or buy, and what our every day lives might look like. I look forward to comments and suggestions. Please no political rants, from anywhere on the political spectrum. My own values come out of Buddhism: I believe in the profound interconnectedness of life on this planet, and the value of every sentient being. The information I will be posting is the best I have been able to find in books, articles, or online, but these are suggestions only, and should be used only if applicable to your local situation.